This week, the Egyptian Ministry of Culture honoured the head of customs and traditions at the Higher Folk Institute Nahla Emam for successfully pushing for Egyptian stick arts, or tahteeb, to be considered a UNESCO intangible heritage. 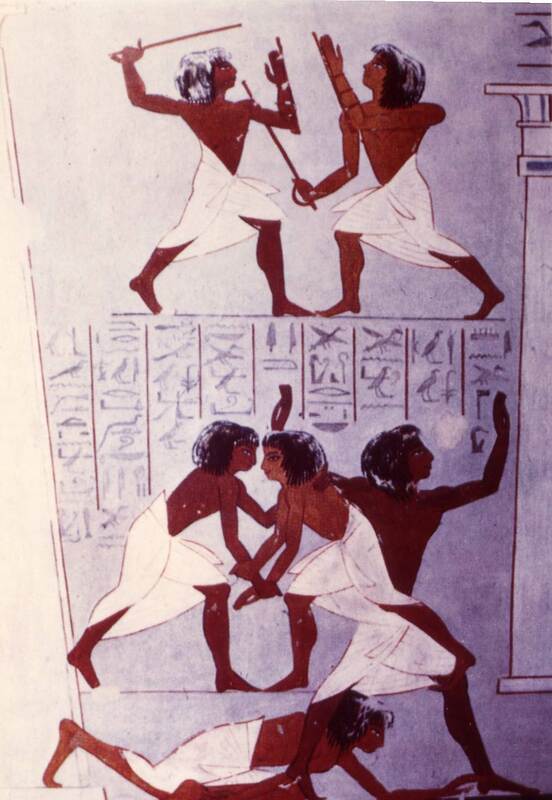 The traditional folk dance dates back to ancient Egypt, as images on temple walls depict the game and its rules. "The pride of men" is how people refer to the dance in Upper Egypt, where the tradition has been preserved over the generations, according to Nahla Emam, who said in her talk that much more needs to be done in order to revive and preserve Egypt’s heritage. "Being acknowledged by the UNESCO is a means, not an end in itself," she notes, adding that this step should empower Egyptians to build upon on our own traditions and help stick arts gain momentum again nationwide. Tahteeb is a dance performed by males, usually involving two people, each holding a stick, who dance to the rhythm of a drum beat. This unique dance is an enchanting physical conversation between the two dancers, who move in a coordinated waltz of sorts that displays a vivid tableau of skills, talent and flexibility. 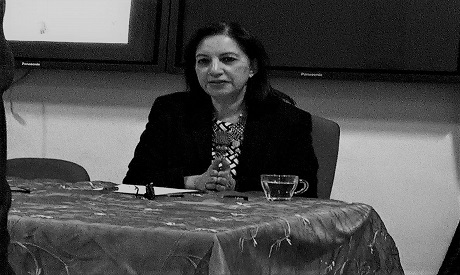 “The idea of this talk is to share her experience so that we all duplicate it, hence automatically revive dozens of traditional crafts and arts that are very much alive, yet need to be in the lime light,” Emam explained. On how stick arts made it to the UNESCO, Emam tells the inspiring story of Adel Bolan, an Egyptian entrepreneur and part of the Association of Upper Egypt for Development and Education, one of the oldest leading NGOs in Egypt. Out of love and passion for this unique art, Bolan submitted through the NGO stick arts for addition to the UNESCO intangible heritages. The NGO addressed the local committee responsible for assigning Egyptian experts to review the issue before it is presented to UNESCO. Emam and Ahmed Nassar then took on the mission from there and guided it to great success. Preserving heritage in all its forms starts with practicing such rituals and celebrating it, and hence the whole idea of using the UNESCO's declaration as a means to do exactly that. "The government should start teaching tahteeb in sports clubs, children should learn about it in schools and together we can make a national festival to promote it and add it to our touristic map," Emam explained.